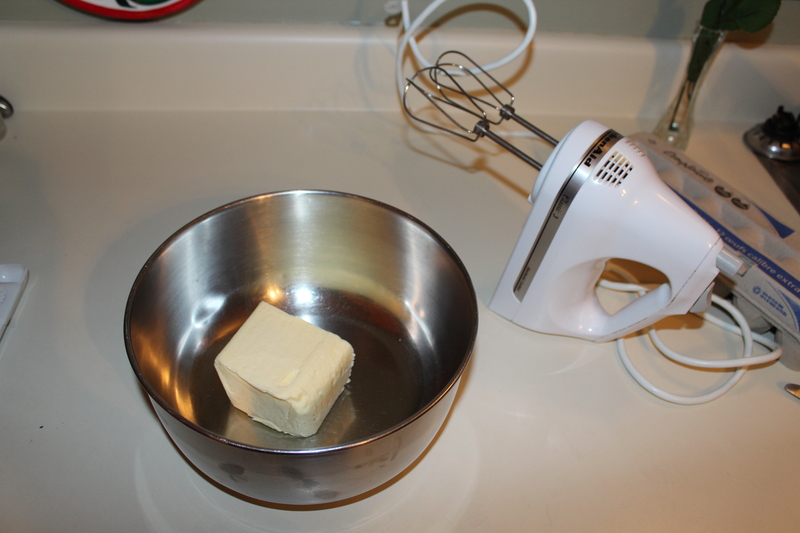 I love baking…cookies, cupcakes, etc. 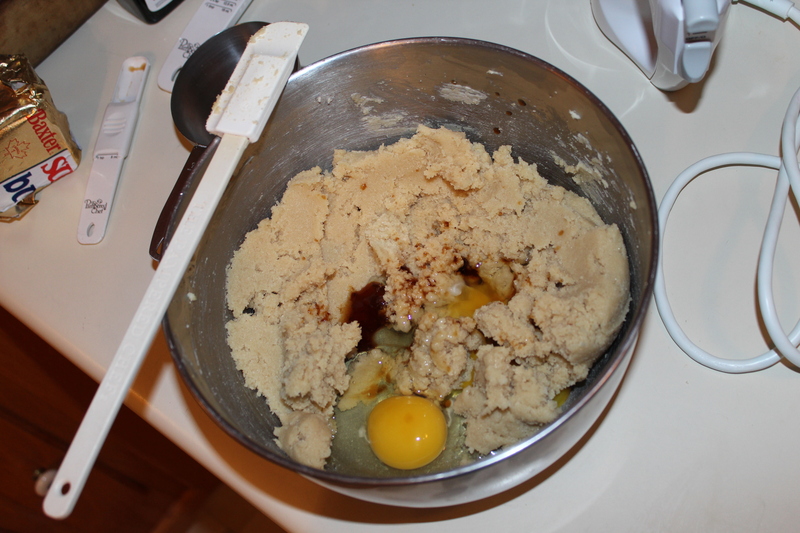 But I tend to stick to the same recipes… the ones I’ve made over and over. I have pinned some pretty delicious looking baking ideas to Pinterest during the past year and it’s time to start trying the recipes! 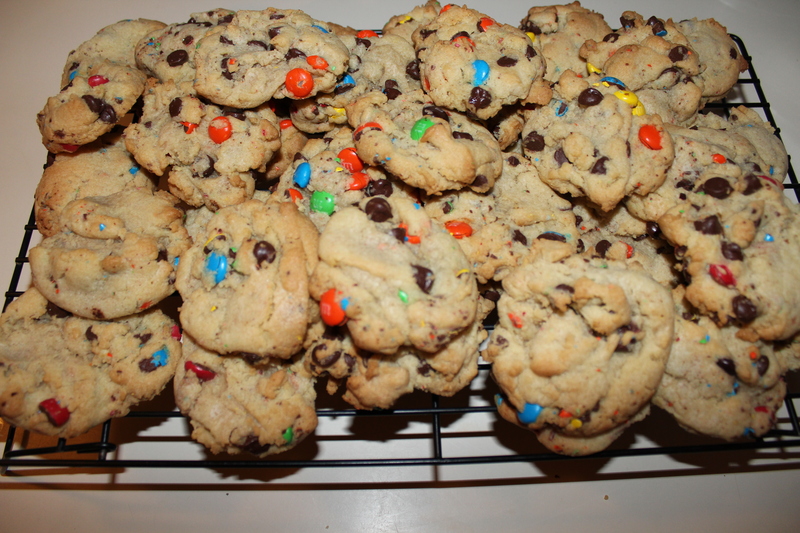 This week I decided to make M&M Cookies. Who doesn’t like cookies? 🙂 They’re easy to share with family & friends…and easy to freeze any extras. 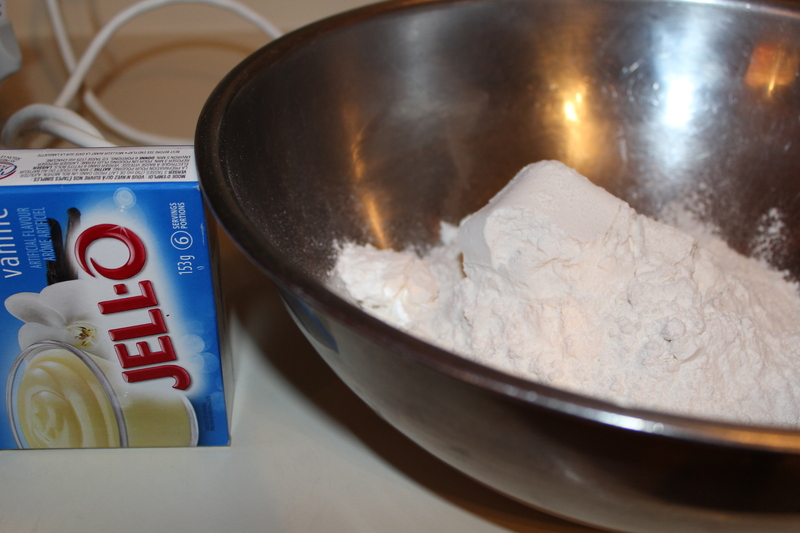 Mix dry ingredients together, including the special ingredient, vanilla pudding powder. 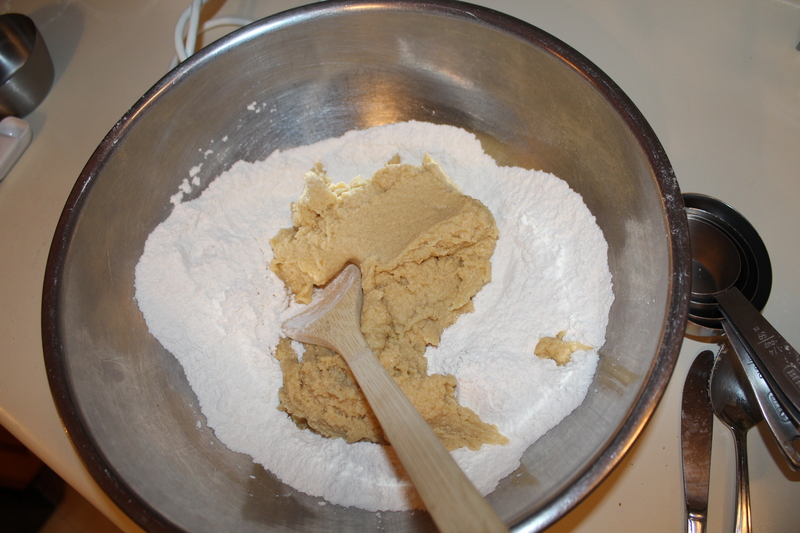 Add butter mixture with dry ingredients. 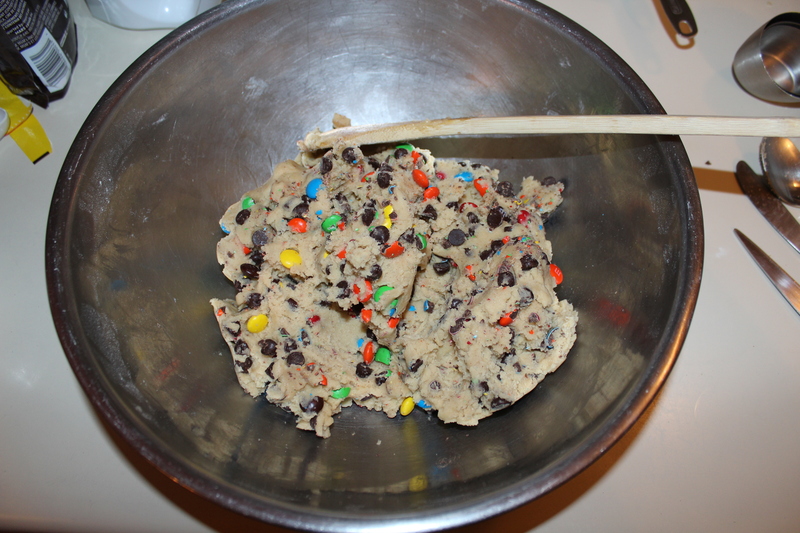 Add the M&Ms..yummy! 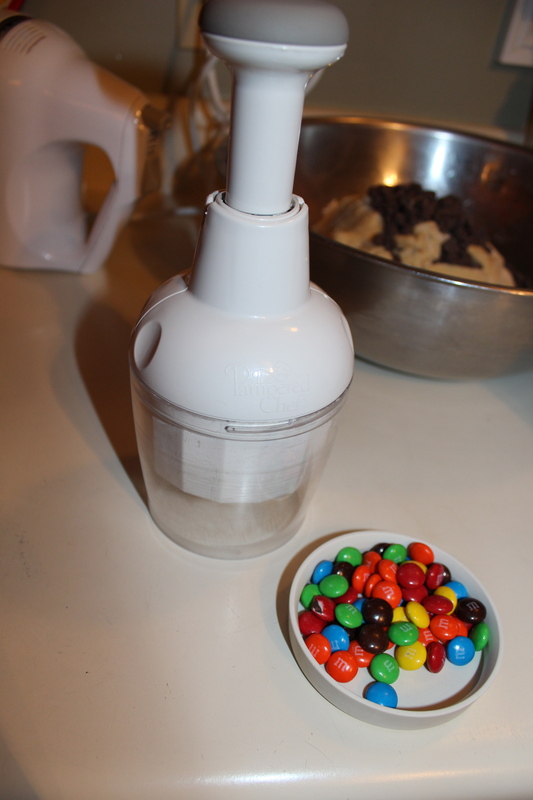 The recipe calls for mini M&Ms, which I couldn’t find at the store I visited. 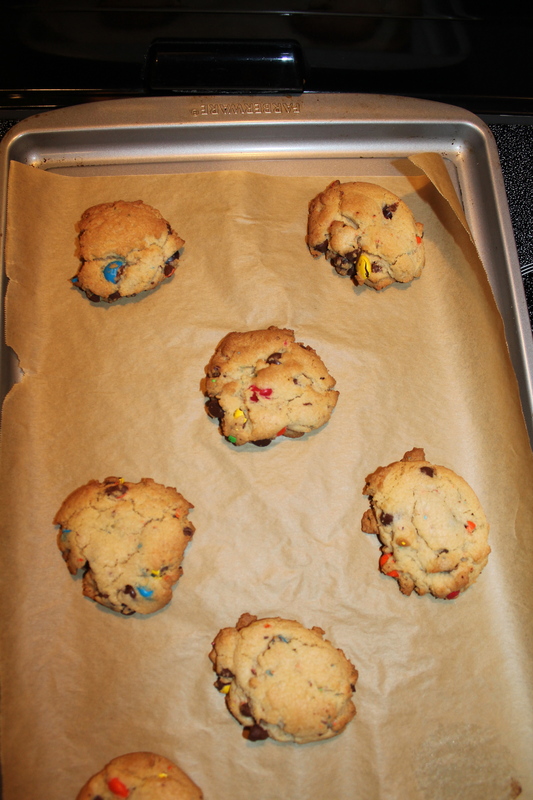 I liked the idea of the cookies having smaller pieces, so i chopped some of the regular M&Ms, and left some regular size. The recipe suggested using a baking mat or parchment paper on the baking sheets, which I need to make a habit of. 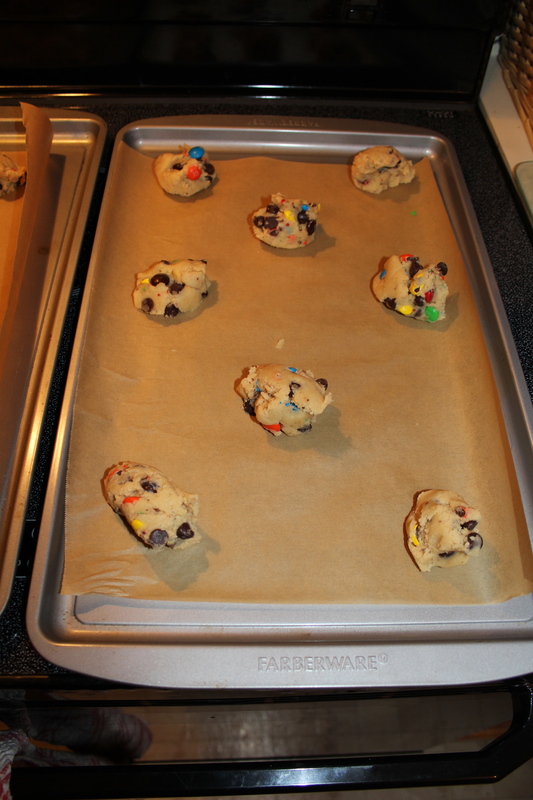 A better alternative to greasing the cookie sheets (and helps the cookies to bake evenly). These cookies were a big hit! 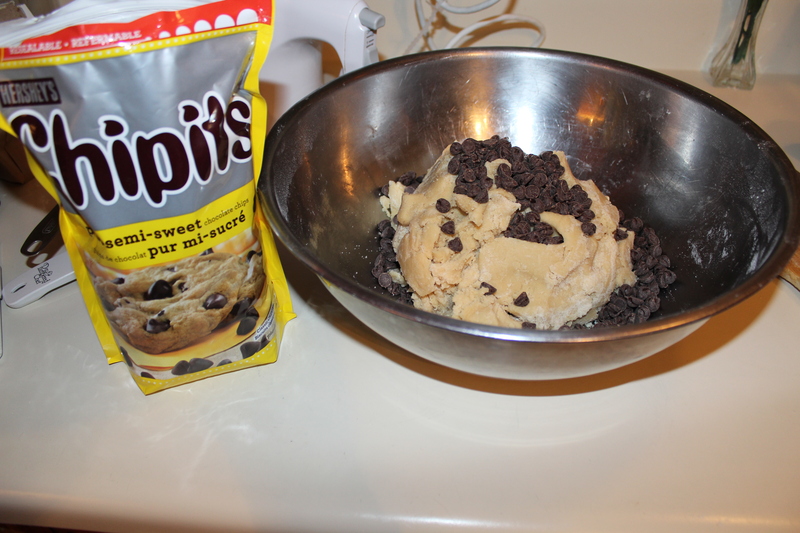 I will be making this recipe again. Mine didn’t turn out as flat as the original recipe (maybe due to doubling the recipe? ), but they tasted great! What’s your favourite kind of cookies?